A rare pink diamond that surfaced in 2013 to fetch $40million at auction has fueled a feud among relatives of a late Italian senator as his son claims the stone was stolen by a backstabbing step-sibling. Amedeo Angiolillo, who currently lives in New York, filed suit against Christie’s on Friday, alleging the auction house had sold off the 300-year-old, 34.65-carat Indian diamond to an anonymous buyer on behalf of someone other than its rightful owner. 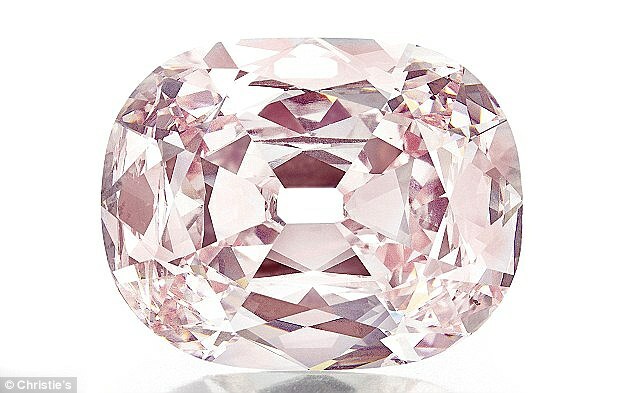 Named the Princie Diamond, the pink gem ‘is one the rarest, perhaps most famous and illustrious pink diamonds in the world,’ according to the complaint filed in Manhattan supreme court. According to Christie’s website, the diamond received the name after being purchased at auction by jewelers Van Cleef & Arpels, who named it in honor of the 14-year-old Prince of Baroda, son of Maharani Sita Devi. The gem had been passed down through generations of Indian rulers before landing in the possession of Mir Osman Ali Khan of Hyderabad, who eventually sold it through Southeby’s. The jewel came into Angiolillo’s family’s possession when his father, Renato Angiolillo, the founder of Italian newspaper Il Tempo, purchased the stone in 1961, the New York Post reports. 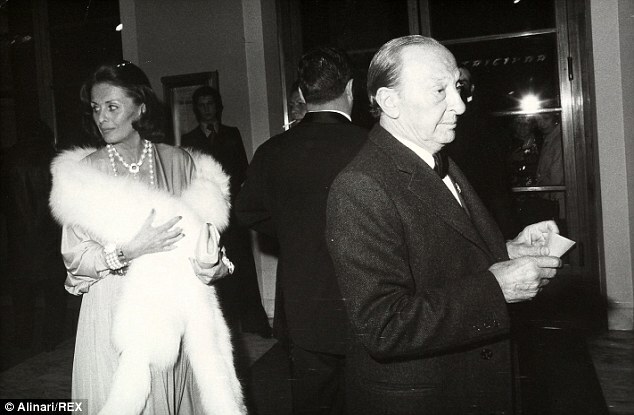 Having just wed his second wife, Maria Girani, Renato made a gift of the diamond – one that carried a caveat. Renato’s new bride would ‘not have unfettered access to’ her husband’s collection of precious stones, according to the complaint. The arrangement would last up until the newspaper magnate’s death in 1973, when Amedeo cut a deal with his step-mother that allowed her to continue wearing the diamond, the lawsuit states. The younger Angiolillo agreed to let Girani hold onto the diamond ‘because she was quite active and influential in Italian politics and sponsored political, social and business meetings at her home,’ a gift Renato bequeathed her in his will. ‘Girani had a good relationship with her husband’s children and grandchildren, confirming on several occasions that the gems in her possession, including the Princie Diamond, belonged to them by inheritance, and that they would be returned to them after her death,’ according to documents filed. Yet when Girani, too, passed away in 2009 and her husband’s heirs came looking for the precious stone, they say it wasn’t among her belongings. Andy Warhol was the top-selling artist at auction in the past year as increased competition for the most-expensive segment of the market drove global art sales higher. 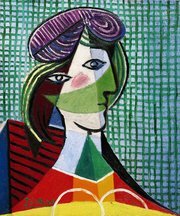 Collectors bought 1,295 works by the deceased artist totaling $653.2 million, ahead of sales for Pablo Picasso andFrancis Bacon, according to preliminary figures by New York-based researcherArtnet. Auctions worldwide rose 10 percent to $16 billion. 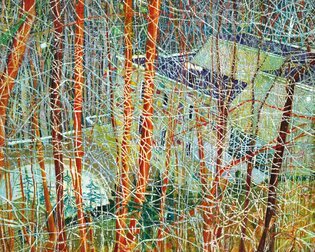 Art sales have more than doubled from $6.3 billion in 2009, as surging financial markets lifted the fortunes of the world’s richest. The top 400 billionaires added $92 billion in wealth this year, for a net worth of $4.1 trillion as of Dec. 29, according to the Bloomberg Billionaires Index. Bidding for the most coveted artists has been driving much of the surge in auctions, said Jeff Rabin, a principal at advisory firm Artvest Partners in New York. 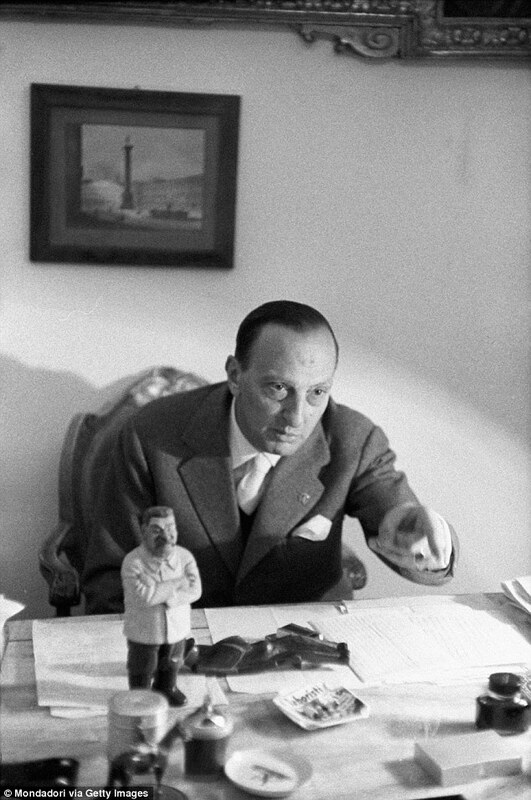 “That total in one evening sale for less than 100 works is extraordinary,” Rabin said. 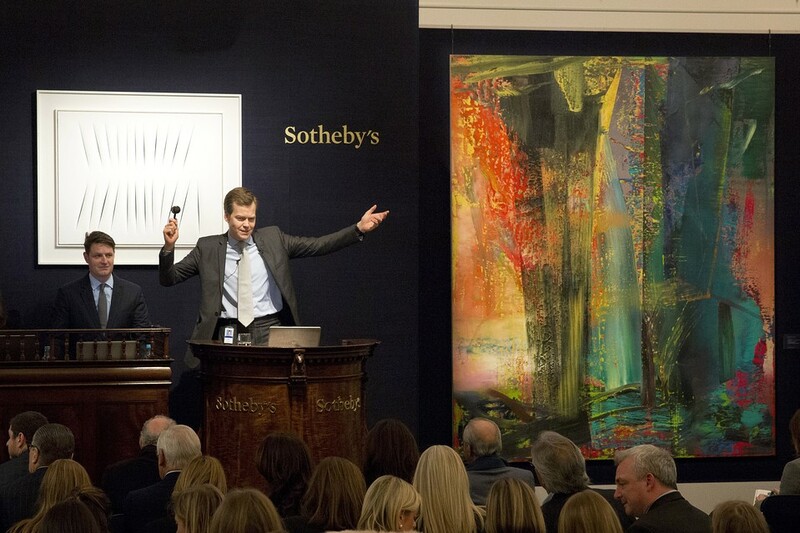 At $16 billion, this year’s art sales would be the second-highest on record. The Artnet numbers for 2014 are preliminary, and final figures next week could still surpass the previous record of $16.3 billion, set in 2011. The figures take into account sales of paintings, drawings and sculpture but not other collectibles such as furniture or decorative objects. The numbers also don’t include private sales. Bacon, Richter and Mark Rothko rounded out the top five artists. Two Chinese artists, Qi Baishi, known for painting shrimp, fish and frogs, and Zhang Daqian, who was famous for his landscapes, ranked sixth and ninth, respectively. Claude Monet was seventh, with $252.1 million of his works sold. Jean-Michel Basquiat was 10th, at $172.2 million. . . .